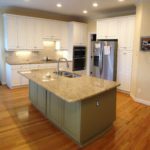 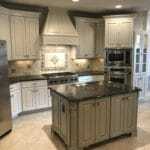 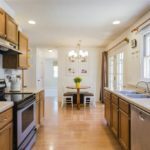 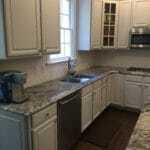 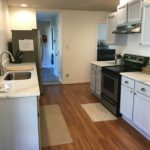 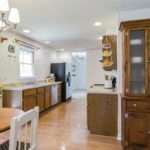 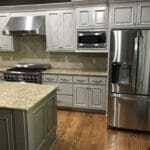 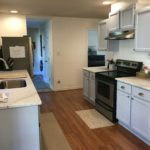 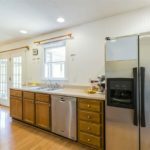 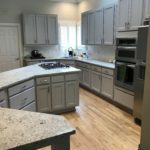 This amazing family had just moved into their new home and changing the kitchen was an absolute must. 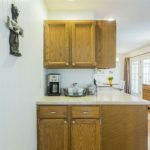 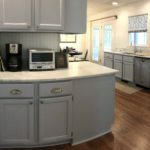 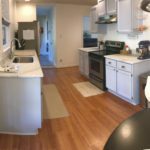 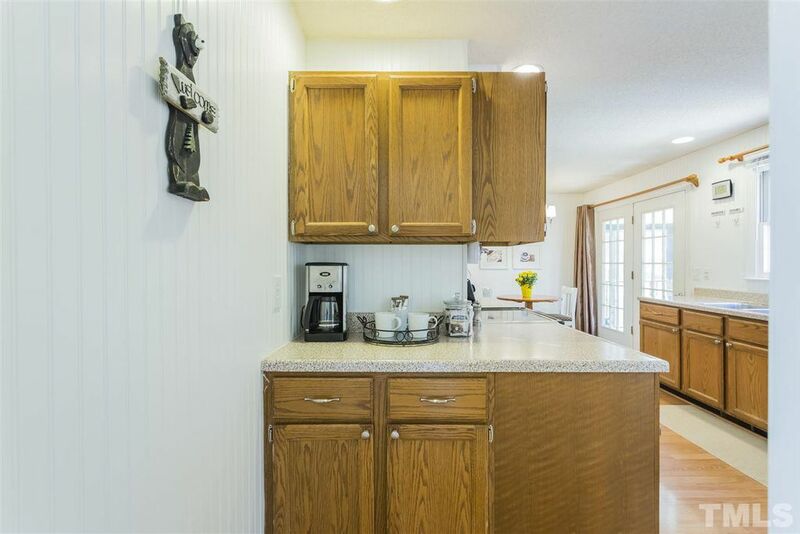 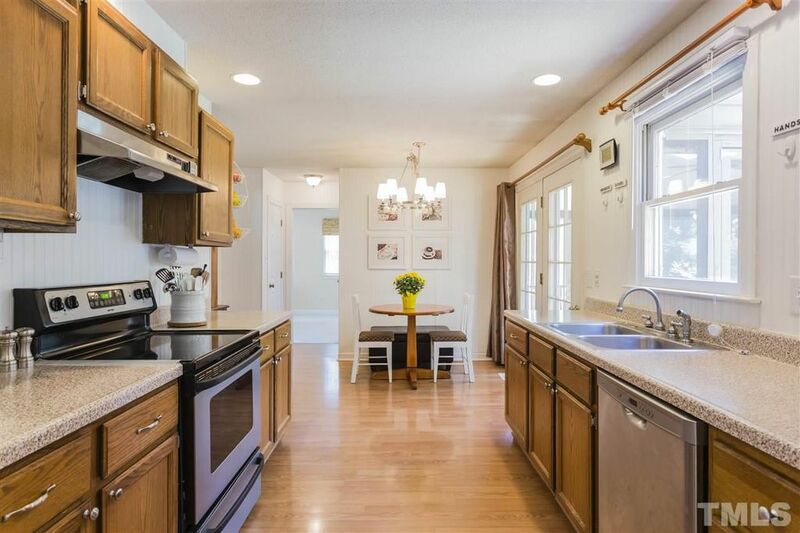 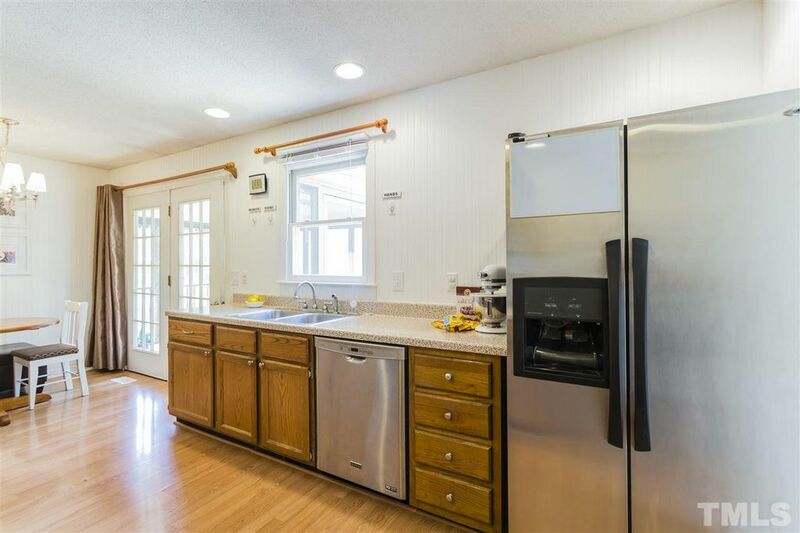 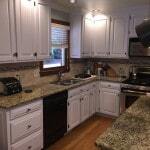 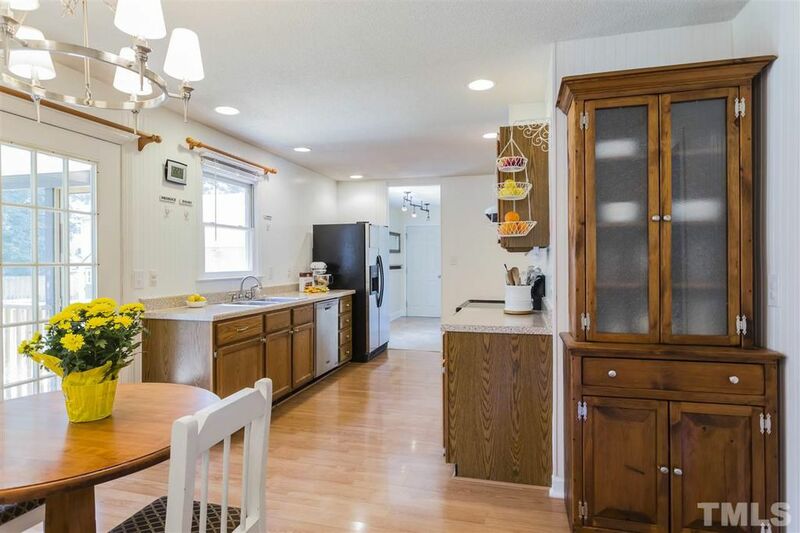 The previous homeowners had already made several updates but painting the kitchen cabinets was still on the To Do list. 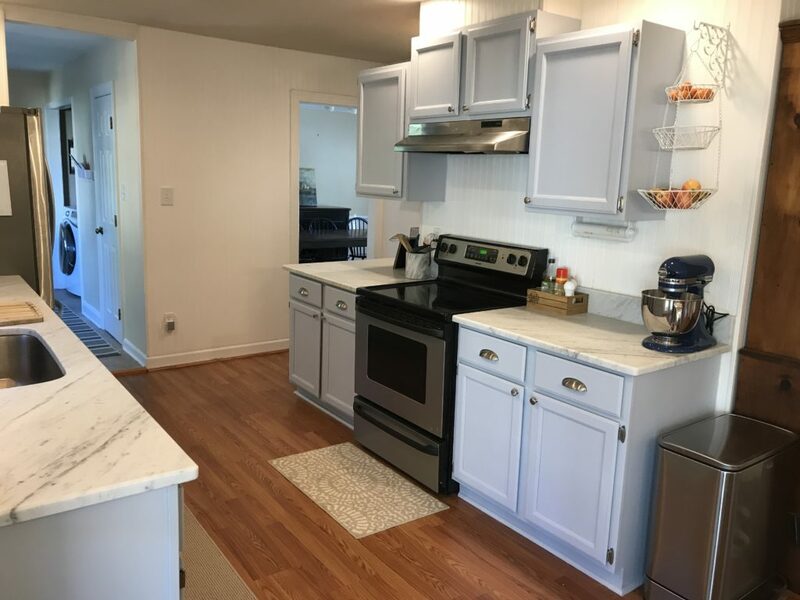 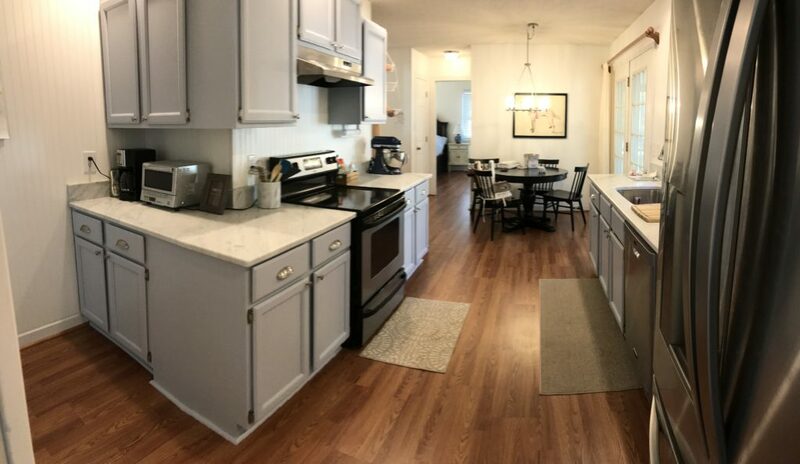 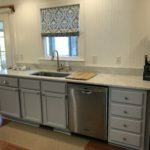 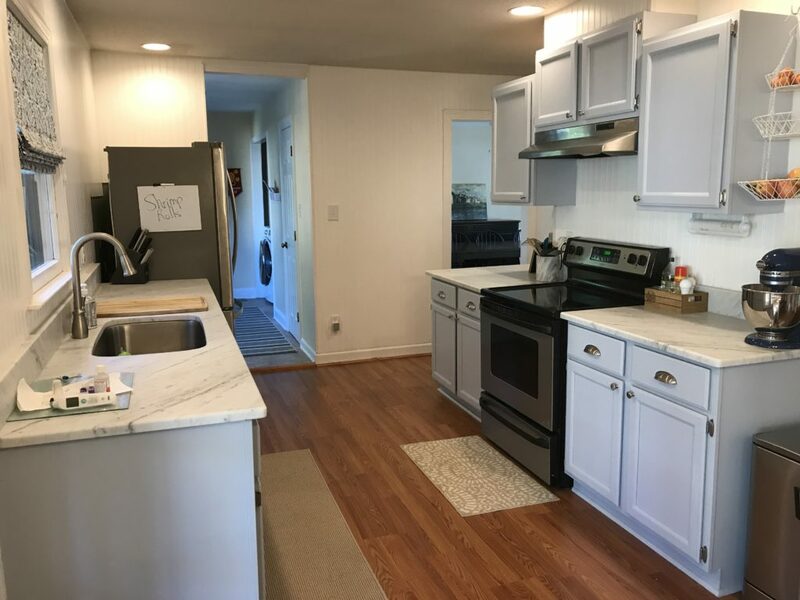 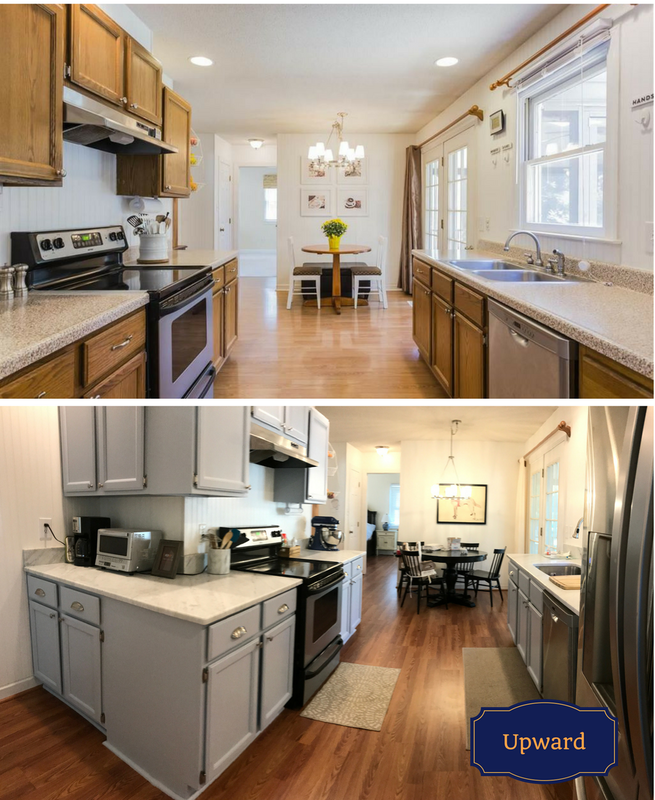 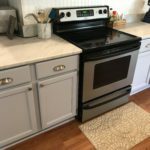 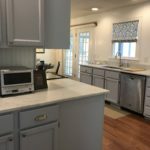 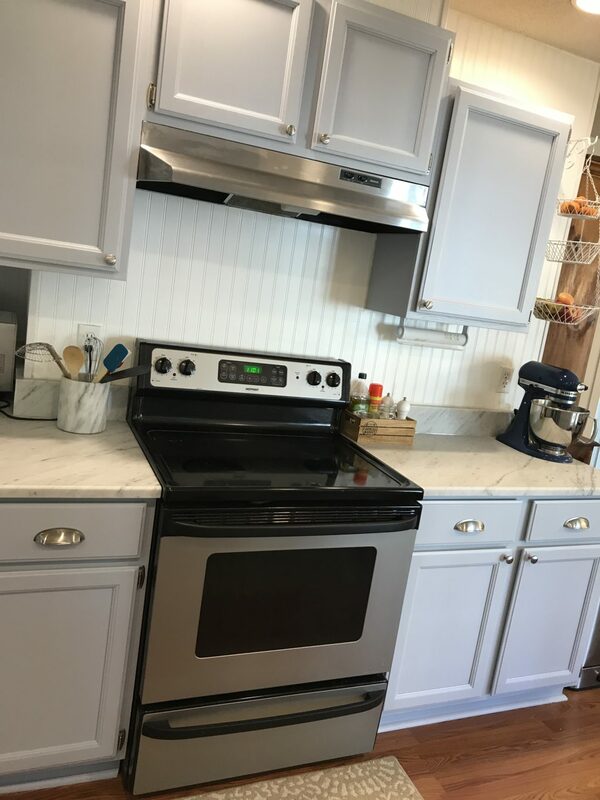 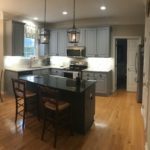 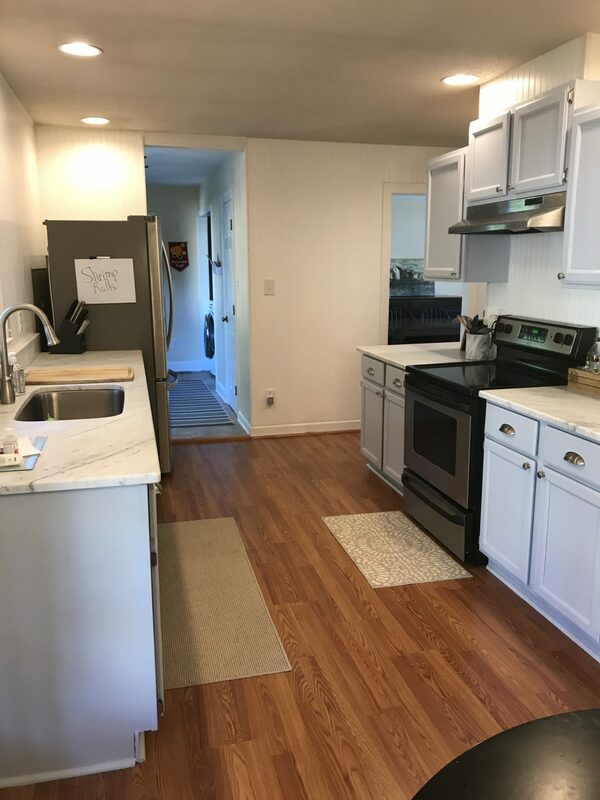 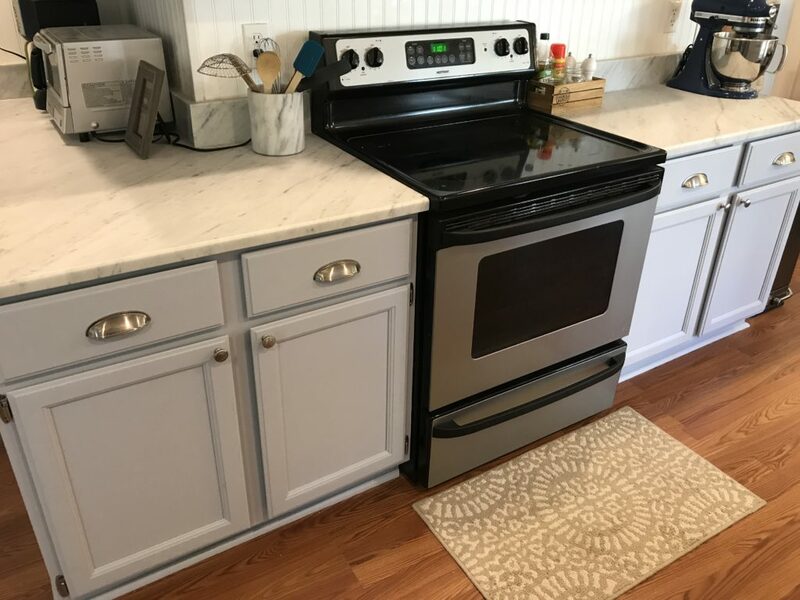 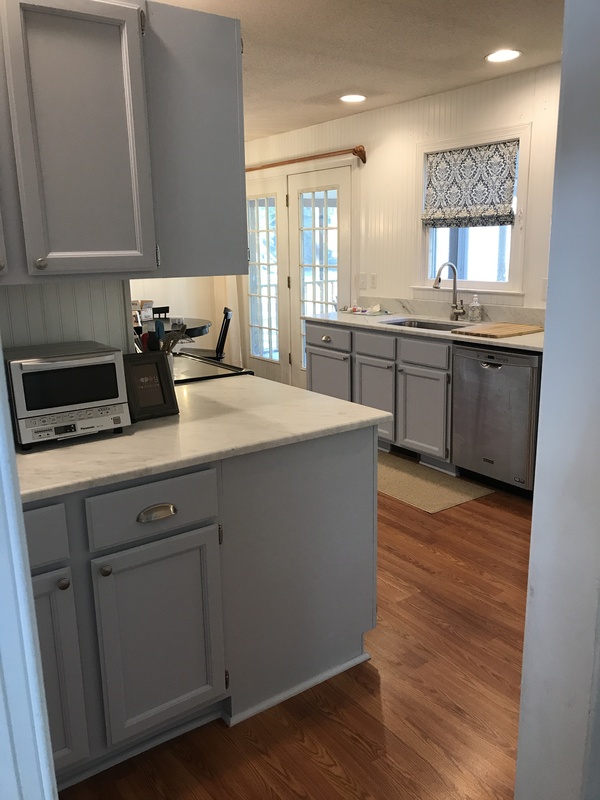 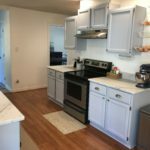 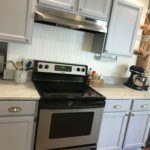 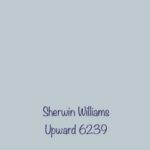 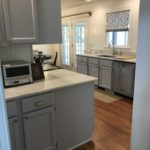 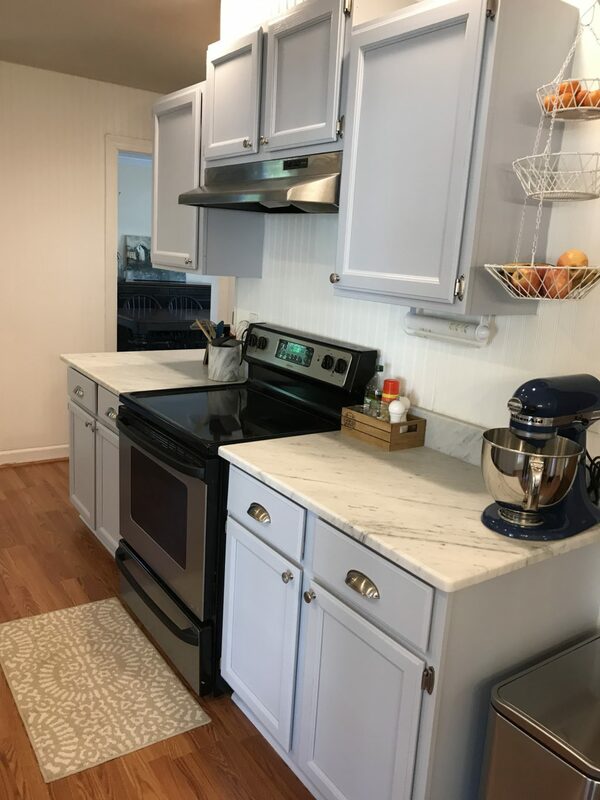 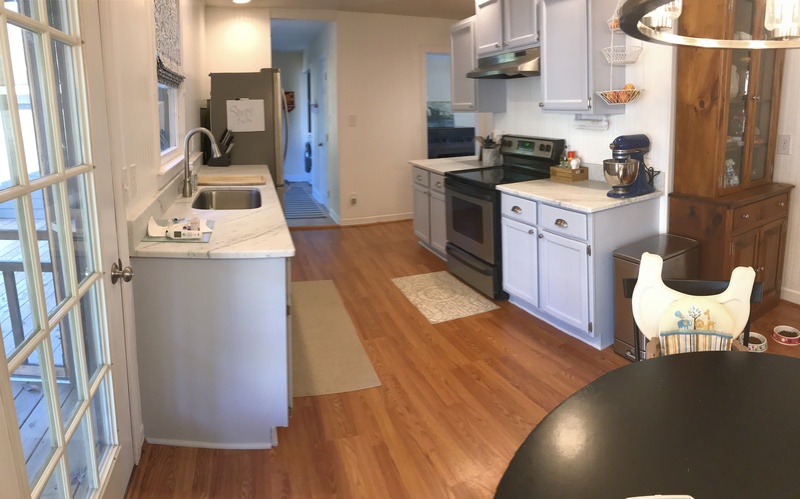 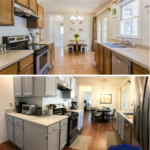 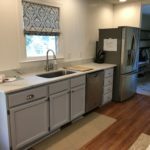 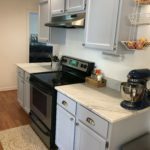 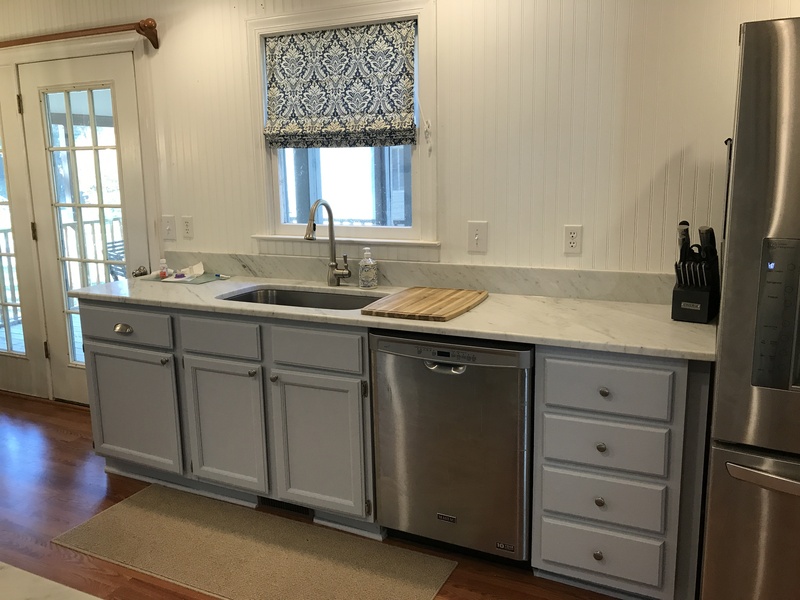 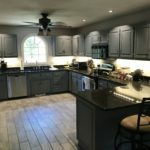 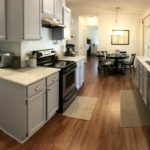 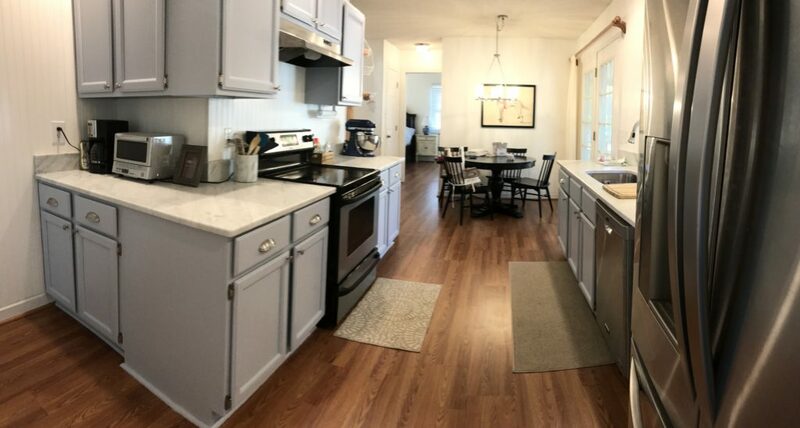 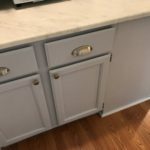 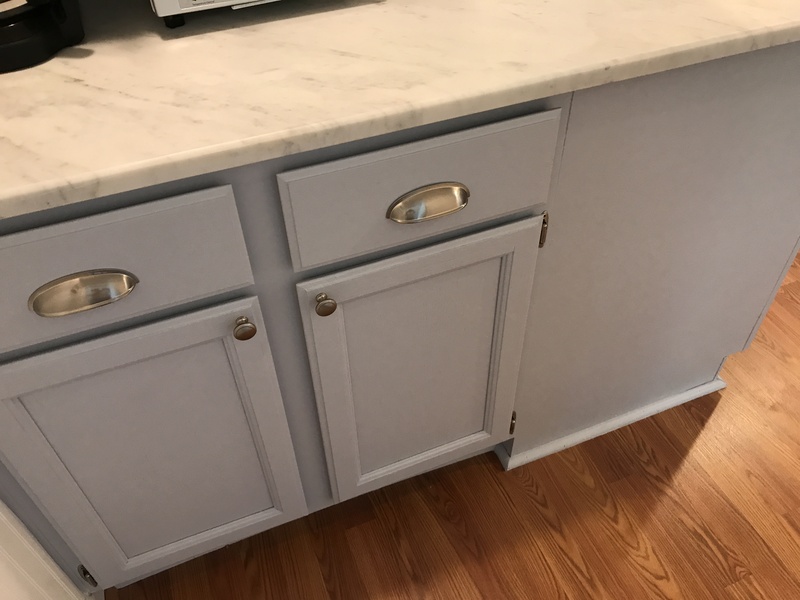 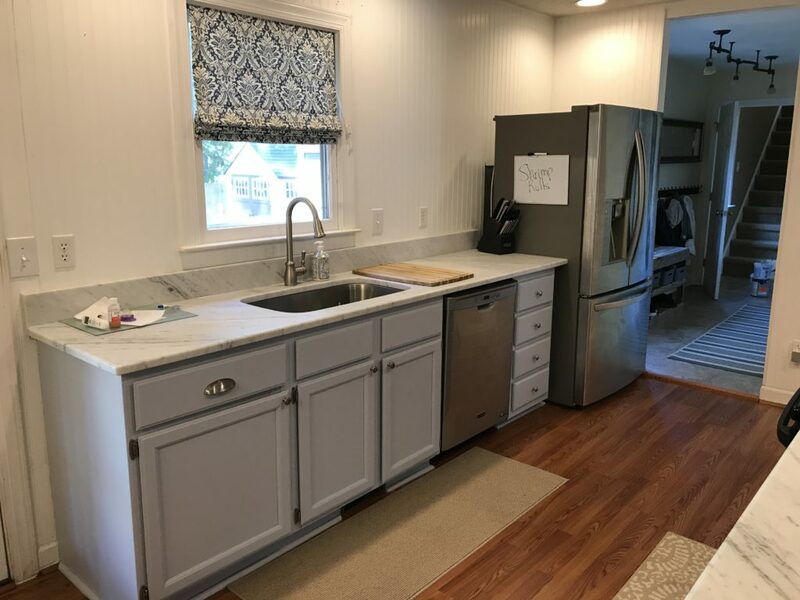 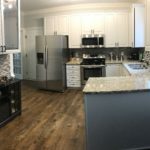 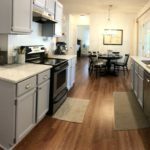 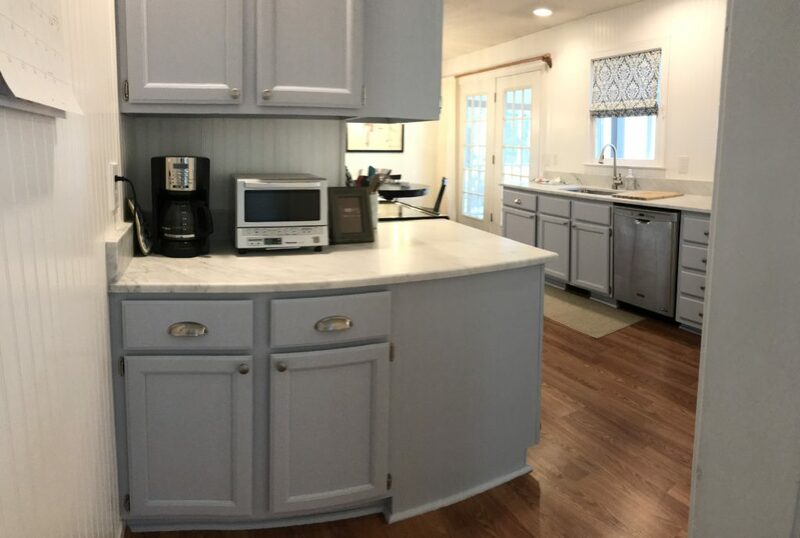 We updated the oak cabinets with Sherwin Williams Upward, a cool gray with hints of blue undertones, and it blended perfectly with the countertops. 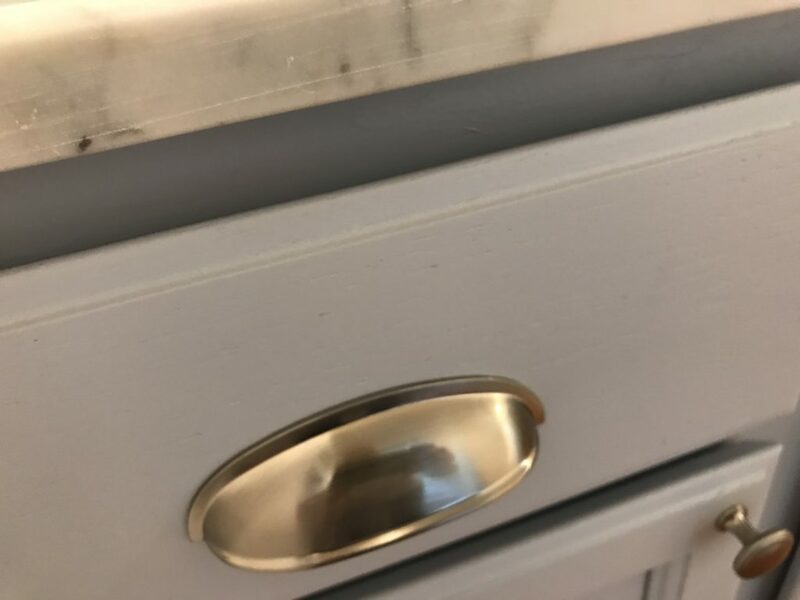 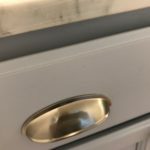 We also swapped out the vintage hinges and handles to a more modern brushed nickel style. 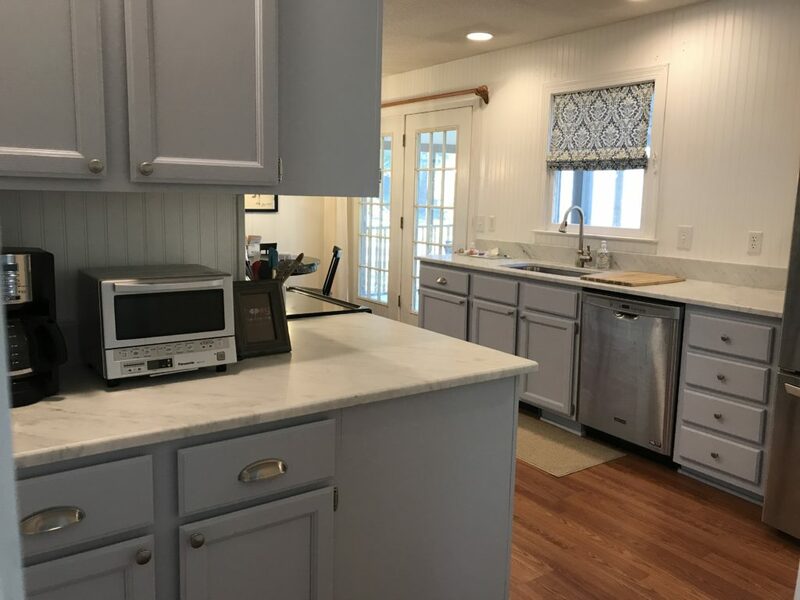 Now the kitchen is ready for its’ new family to make loads of memories!